The band continued to establish themselves with their second album "The Skull" in 1985. 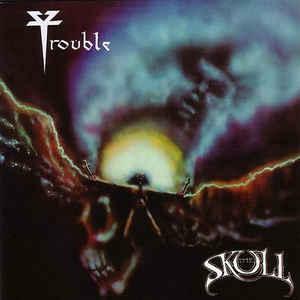 On this album TROUBLE perfected their mixture of lava-like viscosity and heavy-weight riff-attacks. It paved the way for the rise of the slow-motion British doom boom of the mid-‘90s. Bands like Paradise Lost, Anathema and My Dying Bride refer to "The Skull" as one of their biggest influences. This long sold out second album has just been remastered and also contains a bonus DVD and a special packaging.